SAN DIEGO — The final piece of the Glorietta Bay Marina improvement puzzle earned the unanimous support of the Port of San Diego’s Board of Port Commissioners on Sept. 8. Commissioners endorsed Coronado’s plan to complete the final leg of improvements at Glorietta Bay Marina by adopting findings of an environmental report and approving a master plan amendment to implement the project. Coronado Assistant City Attorney Tom Ritter told port commissioners the proposed improvements to Dock C and the boat launch ramp were necessary to modernize the marina’s infrastructure. Both projects would complete an entire overhaul of Glorietta Bay. Infrastructure improvements have already been made to docks A and B. The project includes upgrading landside and waterside infrastructure, according to city and port staff; waterside improvements are within the Port of San Diego’s jurisdiction. Several improvements were made at Glorietta Bay Marina between 2007 and 2011, including overhauls of docks A and B and the creation of an eelgrass restoration area. The city also repaired the shoreline, installed a seawall, built parks and a promenade, realigned Strand Way and extended a bicycle path. The Boat House Clubroom in Glorietta Bay Park opened in 2011 to provide the public with recreational opportunities. 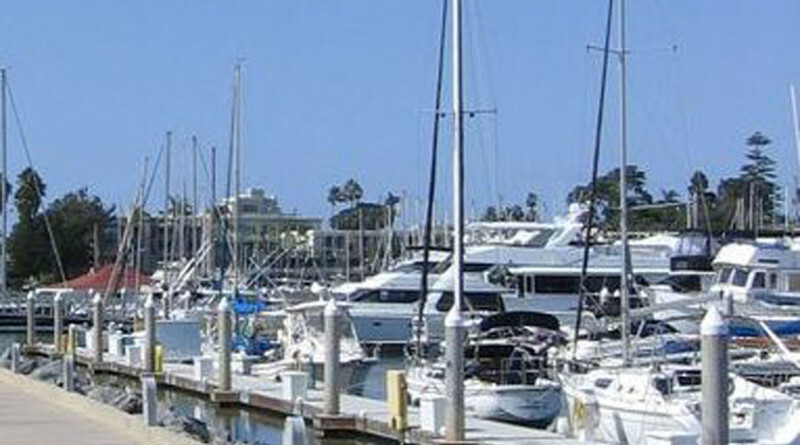 “Glorietta Bay Marina Dock C was not replaced in 2007 because at that time it was determined that it had several more years of serviceable life. In 2011, however, the dock system was reassessed and was found to have deteriorated at a greater rate than previously anticipated, and the city began planning for its reconstruction,” port staff stated. Commissioner Marshall Merrifield commended the city of Coronado for doing its part in creating public access to San Diego Bay. Port staff added the current dock does not meet several mandates, including Coronado’s fire protection regulations, Americans with Disabilities Act (ADA) accessibility requirements and Cal Boating design standards. The new dock would still feature 34 slips, including 16 for vessels up to 30 feet long and 18 for boats larger than 30 feet. Plans call for the current wooden ramp to be demolished and replaced with a concrete structure with free public loading dock and a non-motorized vessel launch area.